New visored headlamp and hooded tail light lend distinction and dash to SPECIAL styling. 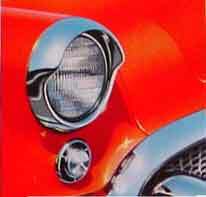 Brake, Parking and Directional Light are all in top globe of new tail light. Back-up light, optional in SPECIAL Series, is in center. 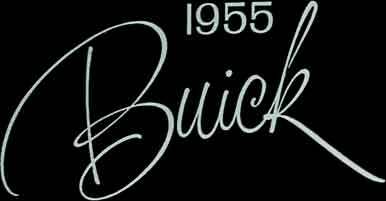 Each model of the SPECIAL Series gives you big Buick spaciousness and big Buick quality. Seats are deep and soft and wide enough for three to sit abreast in perfect comfort. 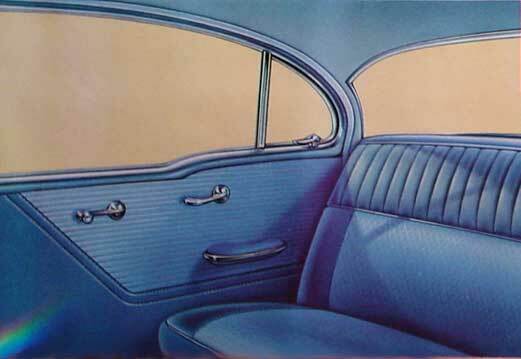 Interiors are upholstered in smart Nylon and Cordaveen with Buick's new embossed trim styling throughout. 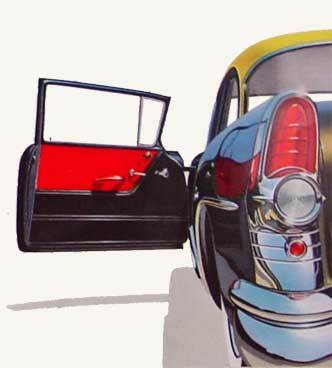 Note Buick's easy-to-enter-and-leave wide-opening front doors.